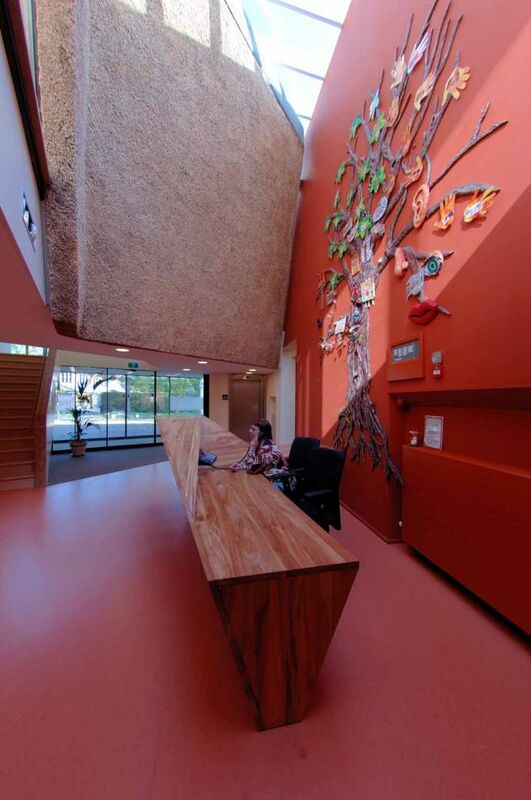 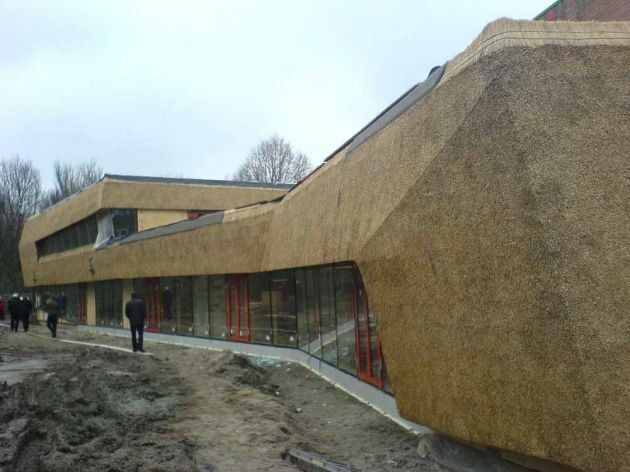 Möhn + Bouman Architects have sent us photos of the Daycare Centre Felsoord. 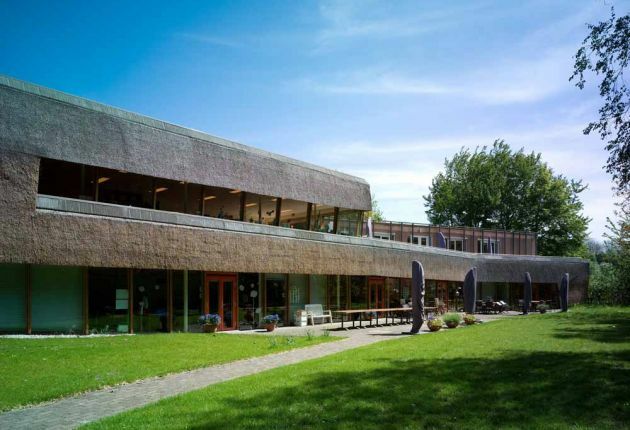 The building, located in Delft, The Netherlands, is a rare example of a modern design that uses thatch, a material more commonly associated with 19th century cottages. 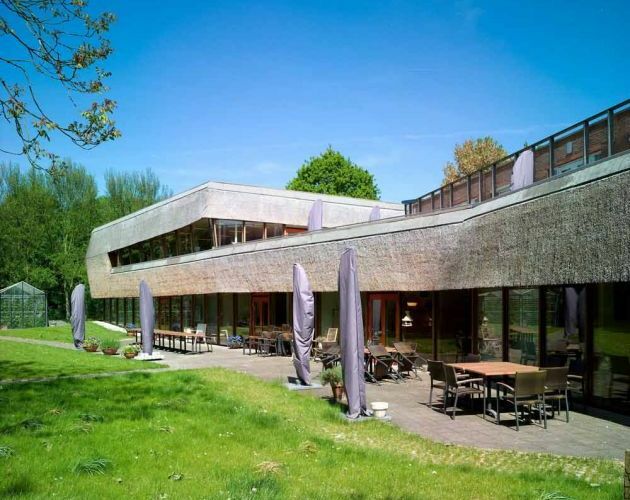 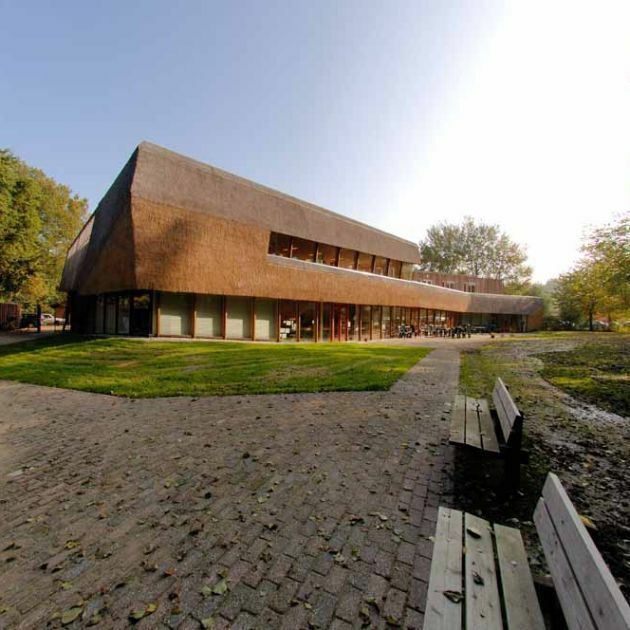 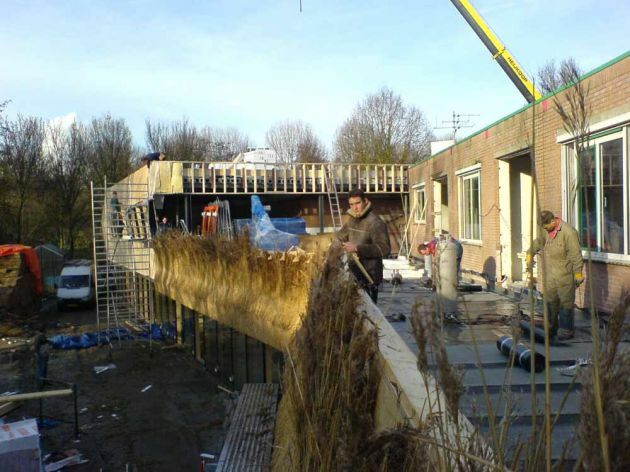 The project concerns the extension and renovation of an existing daycare centre for mentally disabled, situated in a natural wetland area near Delft, the Netherlands. 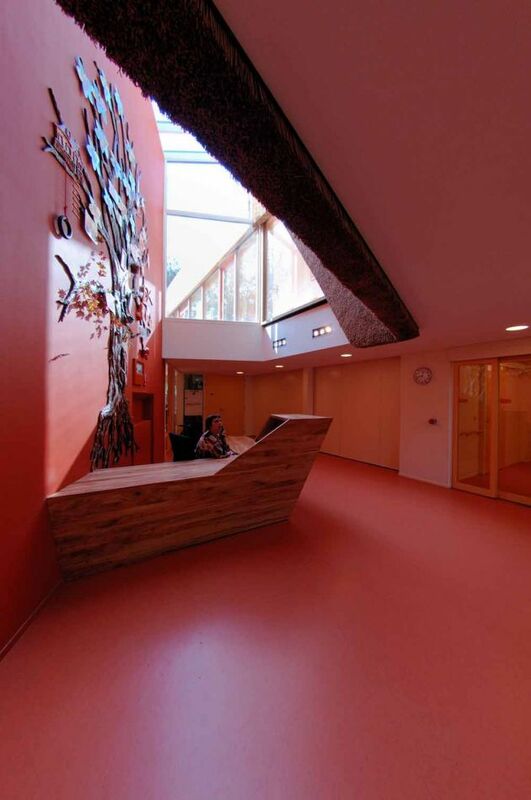 The limitations of the patients make the sensoric / tactile quality of the building a key issue. 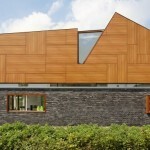 Their emotional condition as well as their abillity for orientation are greatly determined by the building. 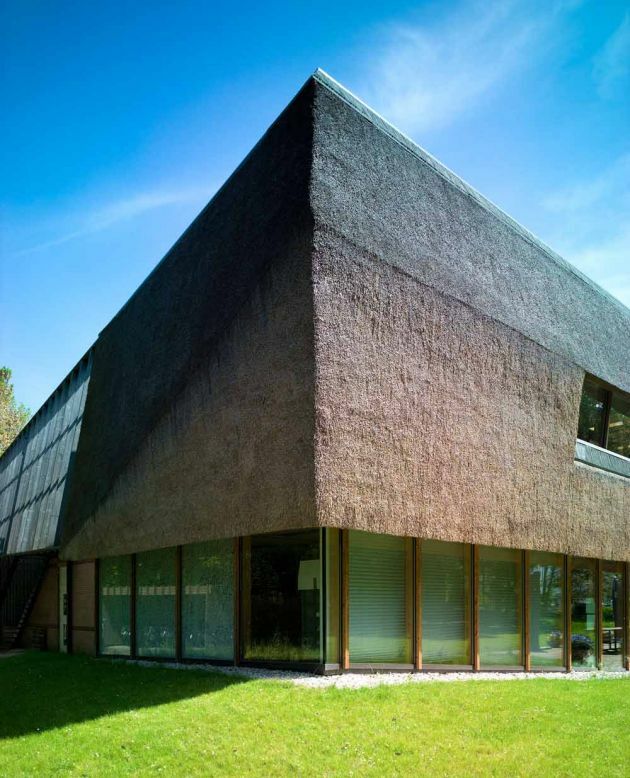 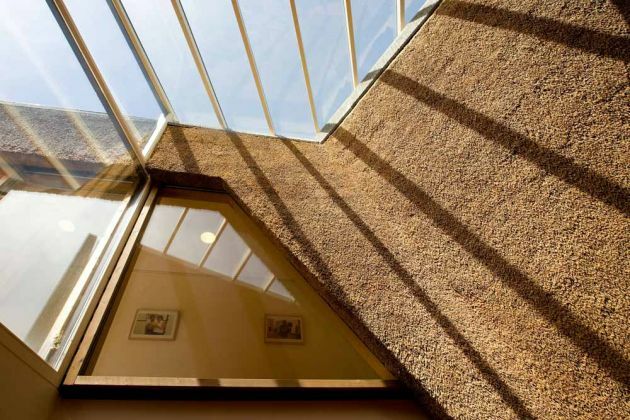 The extension is laid out towards the garden as a natural shape and is cladded with thatch. 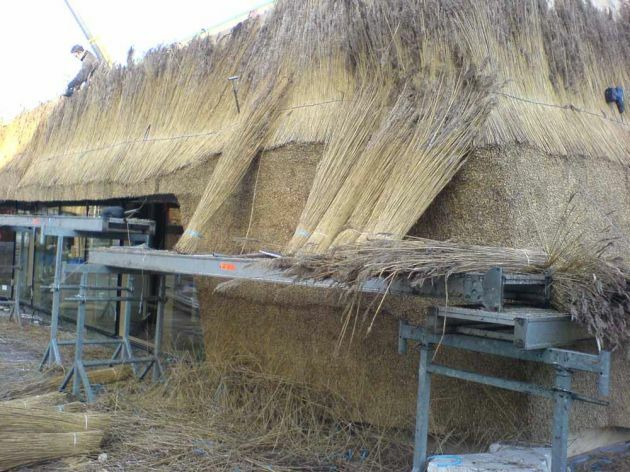 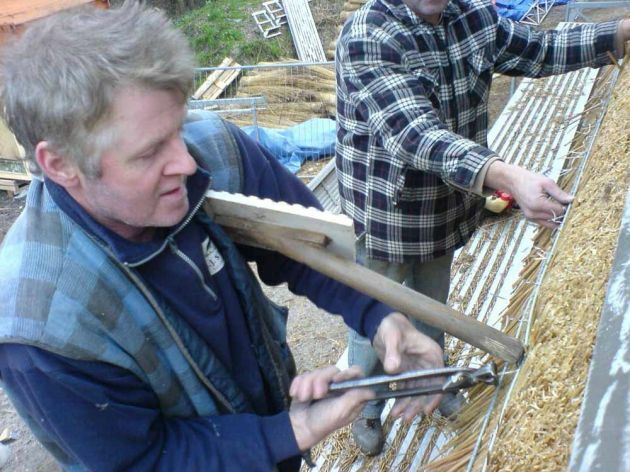 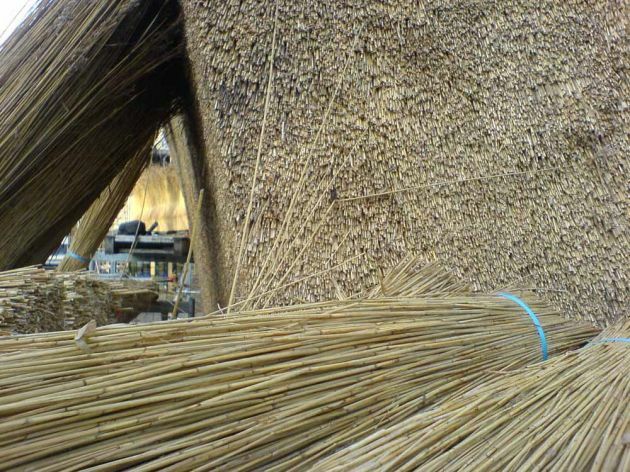 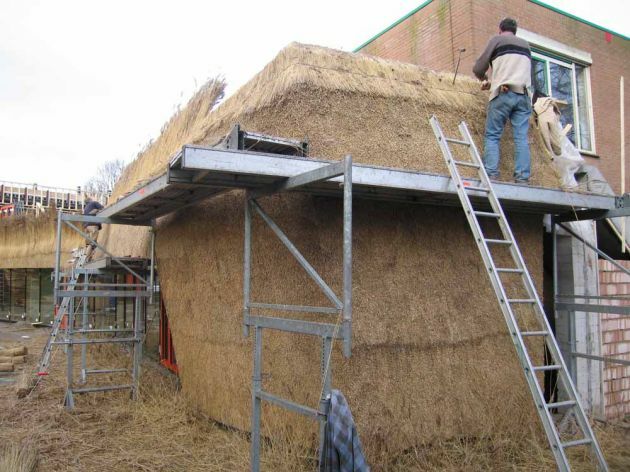 The facades of the existing part could not be cladded with thatch but are treated in two different ways. 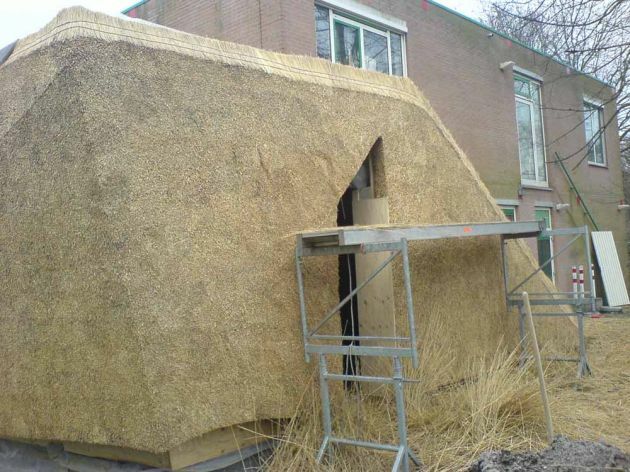 Facades facing the public space are clad with silk-screened glass, based on a manipulated image of a thatch roof. 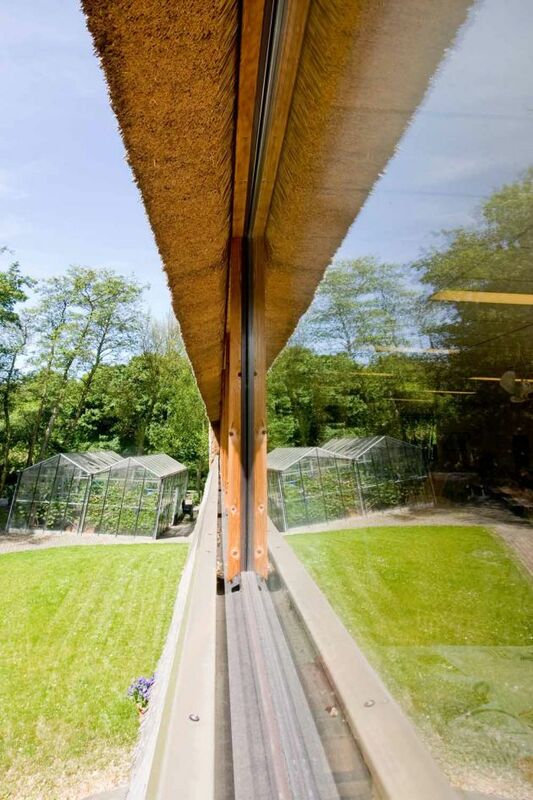 The adjacent facades can only be perceived in perspective and are covered with a grid of thermally treated pinewood. 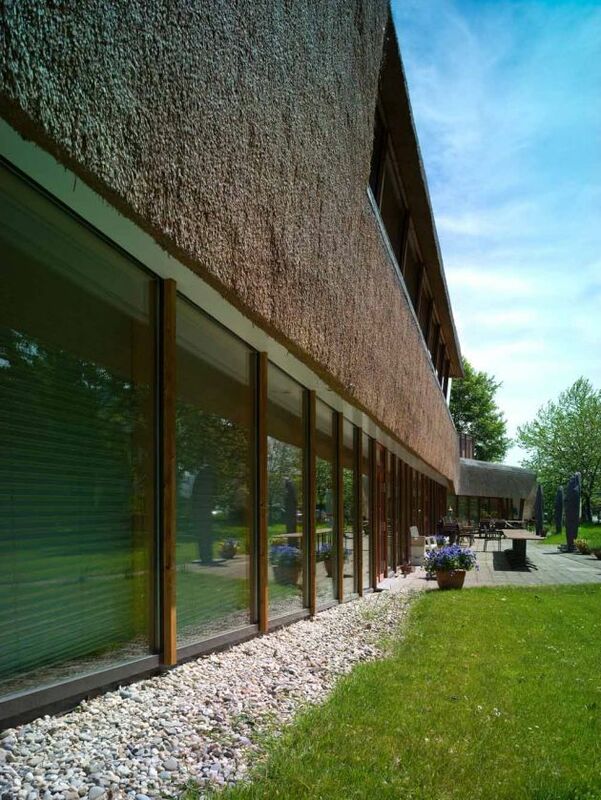 This grid reacts on the forms of the thatch facade and is continued over the glass parts the extension, uniting old and new. 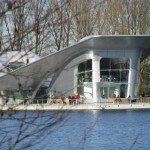 Finally, a new central entrance area is introduced. 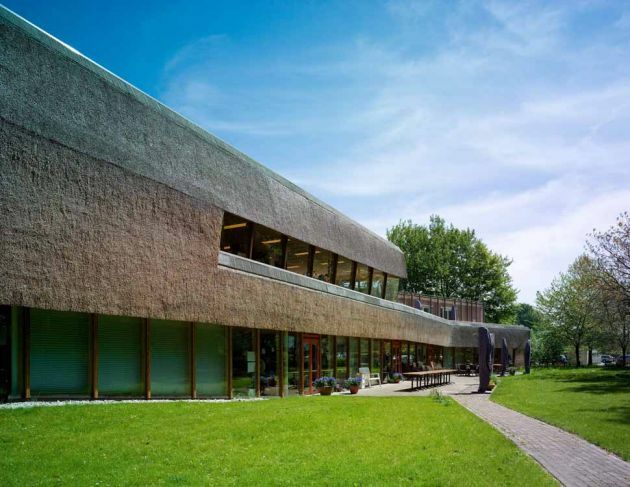 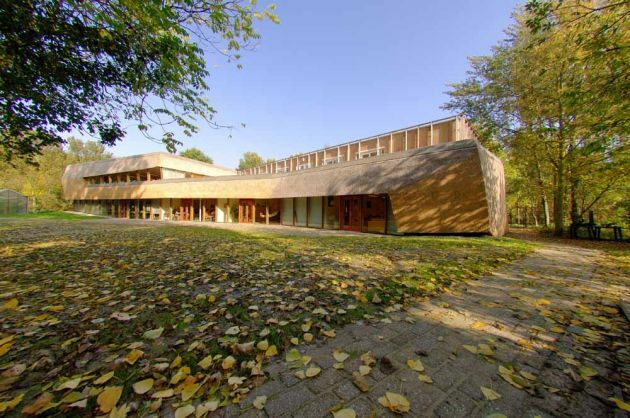 Here, the thatch-facade as well as the pine-wood facades are extended into the interior, ending in the form of a huge sky-light hovering over the reception desk. 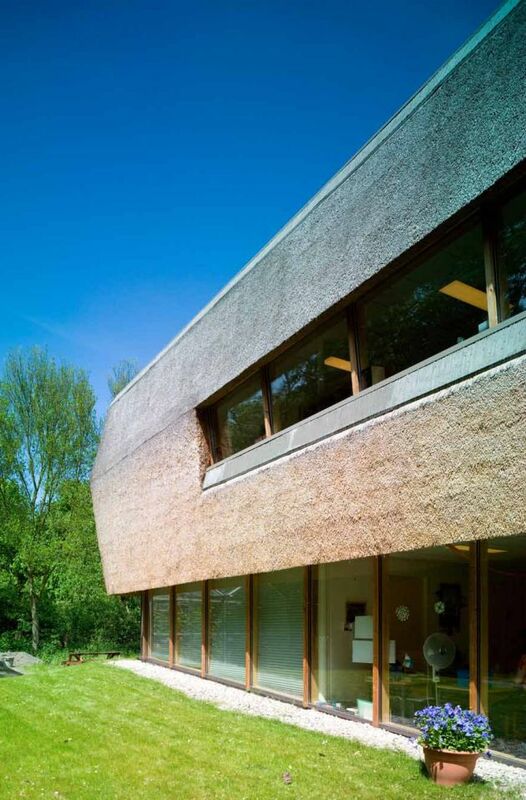 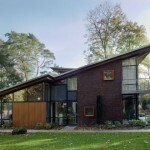 Visit the website of Möhn + Bouman Architects – here.